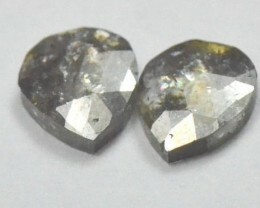 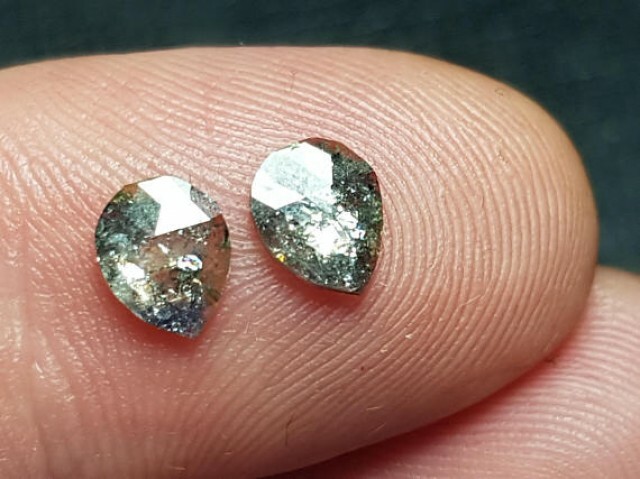 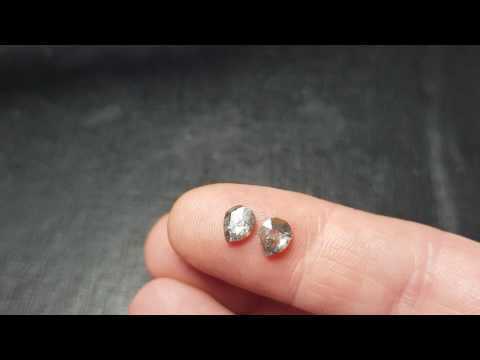 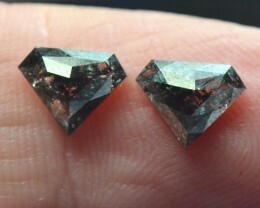 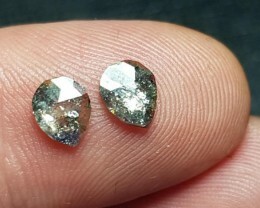 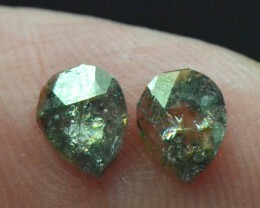 0.89ct pair Silver grey Salt and Pepper check cut diamonds 6.9 by 4.1 by 1. 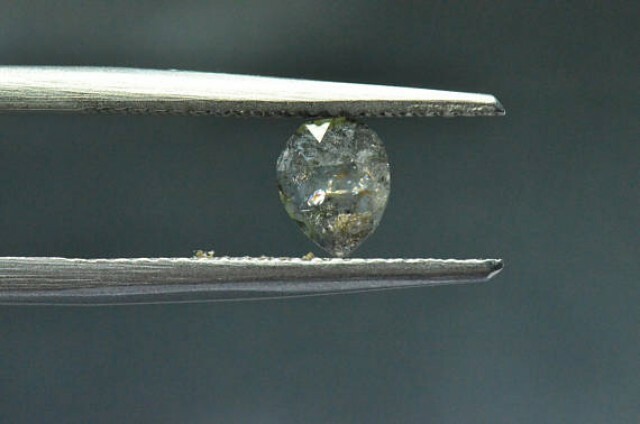 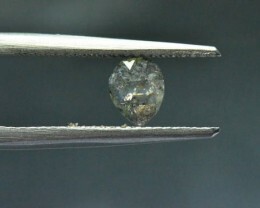 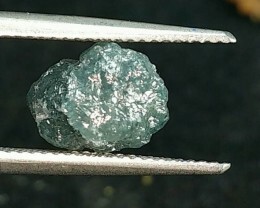 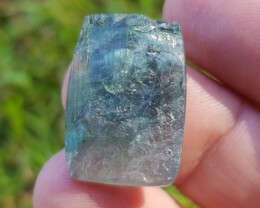 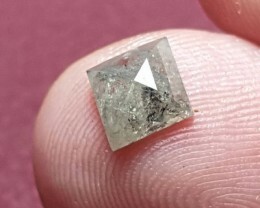 See you tube: https://youtu.be/dNeTSWswxfg * Natural and untreated conflict free diamond. 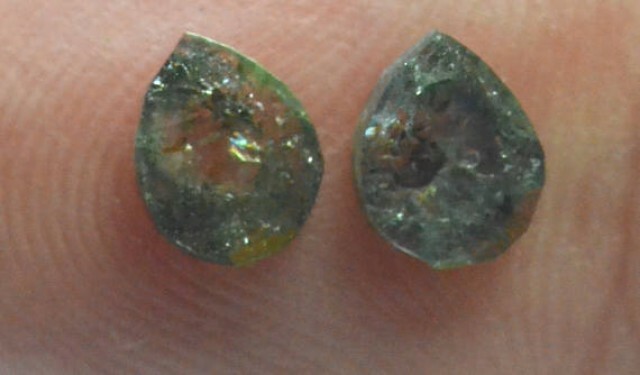 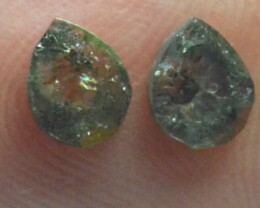 * Diamonds like this are becoming very popular as similar shapes with beautiful inclusions are used by famous designers. 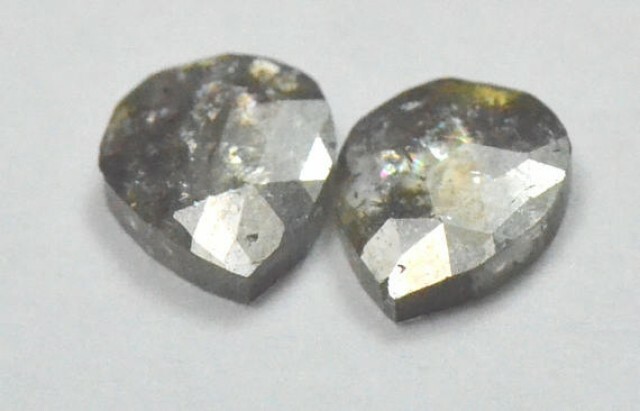 * So difficult to find in pairs. 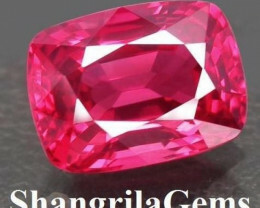 * Sensational! 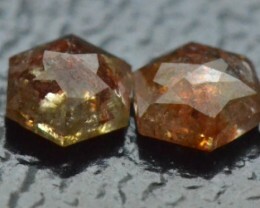 From Botswana - conflict free. 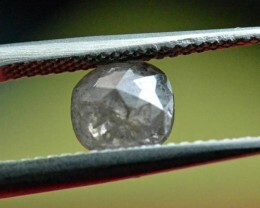 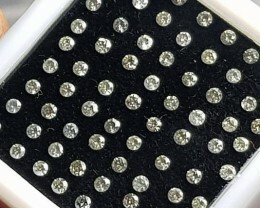 * NATURAL AND UNTREATED Diamond can be certified in London gem district for an additional fee. 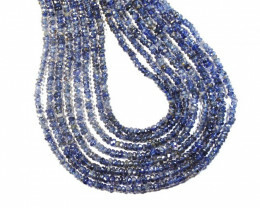 Please contact us to arrange a courier.